MB Crusher recently went through an ISO 9001 recertification audit, in which the company's product quality and production management was considered. At the end of the evaluation, MB received a score of 5 out of 5 for the ISO 9001:2008 recertification. [...] MB's products are shown to have the highest quality system management in producing its machines for its customers. The company's production method is so advanced that the company can warrant the highest quality of its products. 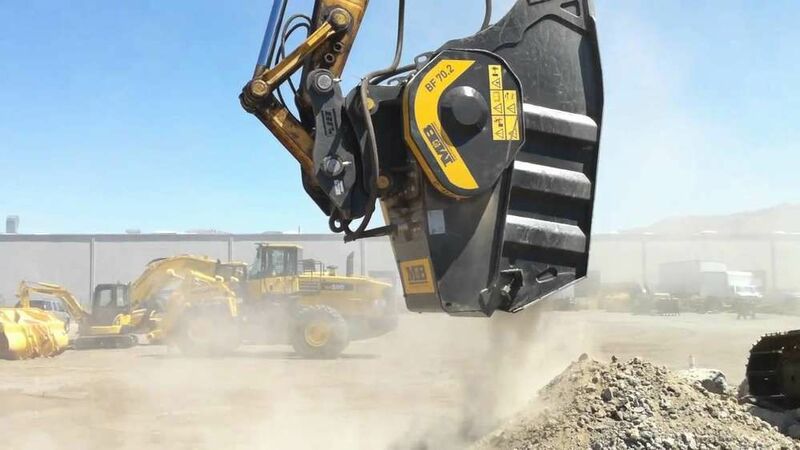 MB offers crushing and screening attachments, 360° rotation grapples and dual head rotary drum cutters for a wide scope of work, which includes demolition and excavation, road work, quarries, mining, pipeline work and environmental reclamation projects. [...] Contractors will be able to reuse materials immediately at the job site and provide a greener option in recycling waste materials. By reusing the materials, contractors and businesses can begin saving time and money in reducing waste and trucking costs.